Sitting amidst Silence is a capable, shrewd, moving, arrangement of musings about how religions may change and move and adjust when they move from nation to nation, from individuals to individuals. Similarly intense is the film's view on the detestations that people can execute on each other. As intelligently portrayed as these examinations may be, and they are very great and alone would make the film worth watching, they are reduced by an excessively long motion picture which on occasion loses its way in the wild. A long but well made & well acted epic. Martin Scorsese's historical drama is the type of sweeping epic you once saw by the dozen during the New Hollywood era. Considering that Scorsese is one of the most successful living directors from that era, that's no surprise. 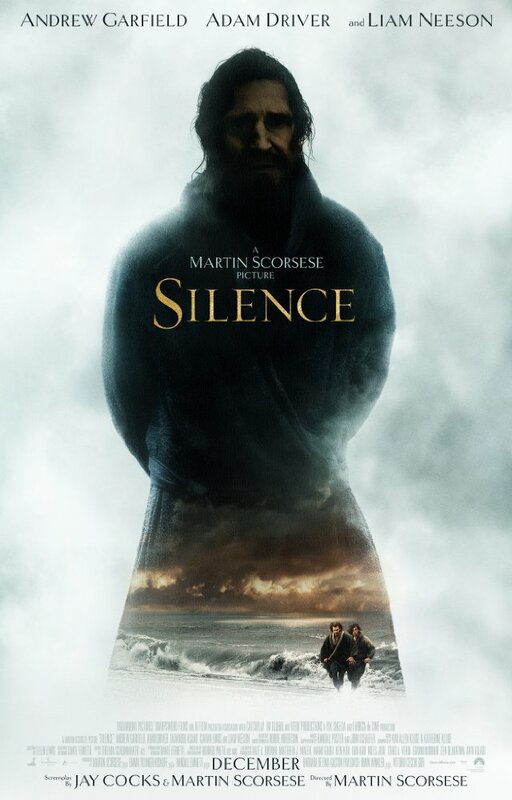 SILENCE features Andrew Garfield and Adam Driver as two Jesuit priests who travel to Japan in the 17th century. It has to be in secret as the country's government outlawed Christianity and refusal to renounce one's faith means death. The pious pair meet and congregate with fellow Christians in order to find their mentor (Liam Neeson) and bring him home to their native Portugal. The story of "Silence" fellows two Jesuit priests, Sebastião Rodrigues and Francis Garrpe, who travel to seventeenth century Japan which has, under the Tokugawa shogunate, banned Catholicism and almost all foreign contact. This was tough. Seriously, this was the hardest thing I've ever digest in terms of progressing my thoughts. It's so mesmerizing with so many things going on at once that it takes awhile to sink in. Gets you thinking on a subject that you wasn't originally interested in. A movie that leaves you completely paralyze of reacting or forming a sentence to describe what you just witness. But after four days of letting it sink in, it has been settled. Martin Scorsese’s use of nature fuels his latest film "Silence," which follows the journey of two priests (Adam Driver and Andrew Garfield) into an unfamiliar land. They have traveled to Japan in search of another priest (Liam Neeson) who by all accounts has renounced his Christian faith. The film takes place during a time of persecution, when Christians are forced by an inquisitor (Issey Ogata) to denounce Jesus Christ by stepping on an engraved plaque bearing his likeness, or face torture and death. No posts have been made on this movie yet. Be the first to start talking about Silence!